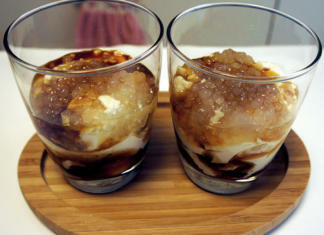 As time goes by, people look for ways to reinvent popular dishes and presenting it in a new way. Sisig, for example, has really come a long way. From an ordinary term that dates back to the 1700s, it now has different versions like Sizzling Pork Sisig, Tofu Sisig, Mushroom Sisig, Chicken Sisig and the Bangus Sisig. Some of these versions were made especially for the health conscious. This Bangus Sisig Recipe is the perfect healthy blend that you can prepare for your family when you’re trying to avoid the fatty cuts of pork. 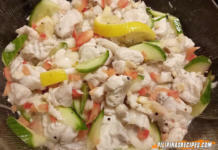 If you want the best Bangus for this recipe, look for Dagupan Bangus or any Bangus that comes from Pangasinan since it’s the most popular province for Bangus harvesting although there are many places that have Bangus fish ponds. Dagupan even holds an annual Bangus Festival where tons and tons of Bangus are celebrated. 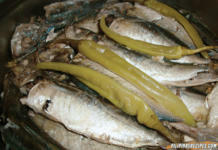 Using only the best Bangus that you could get your hands on will give you the most wonderful dish. 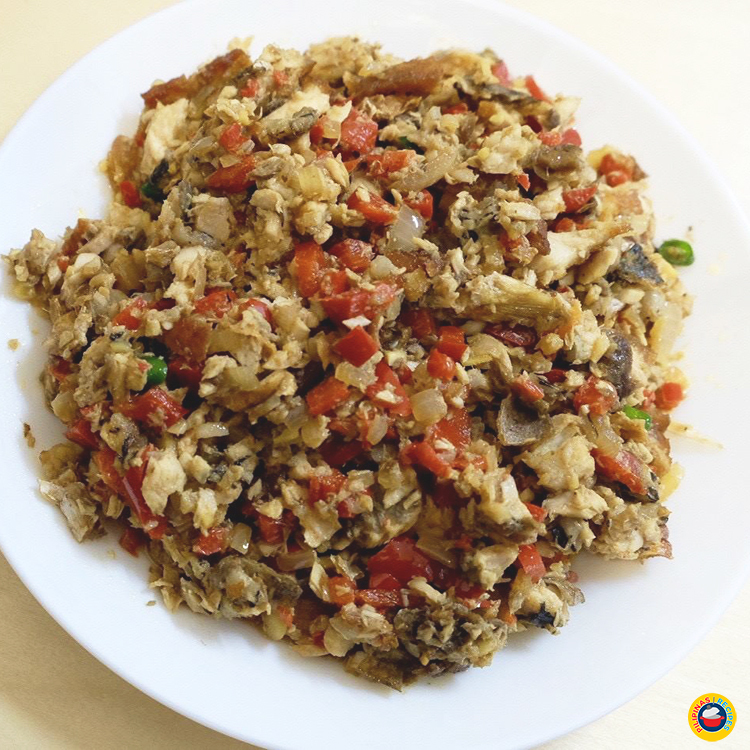 This Bangus Sisig Recipe is also healthy since you’re using fish but the flavors aren’t being compromised. 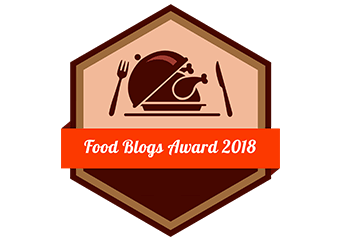 It’s just as delicious as Pork Sisig maybe even better because Bangus belly fat got some serious flavor. 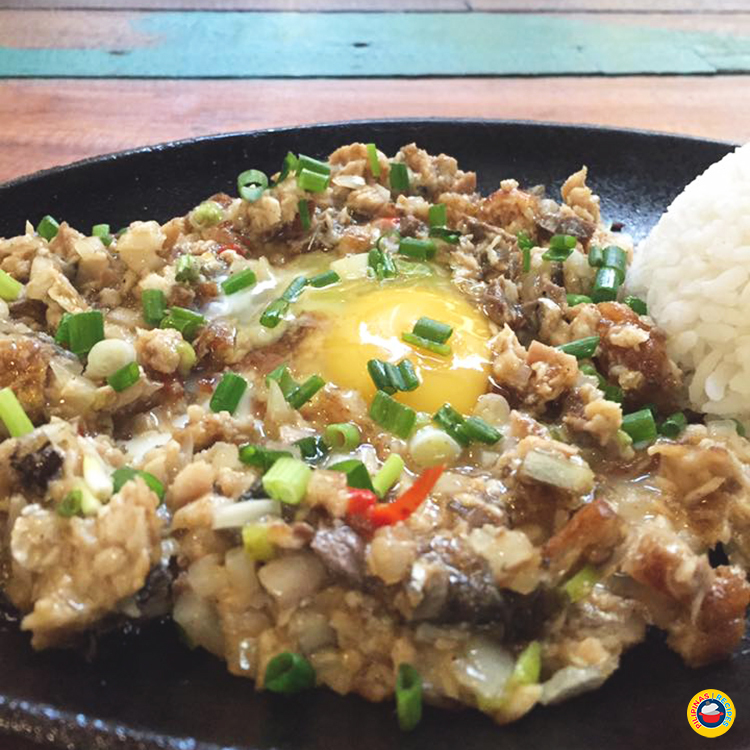 This Bangus Sisig Recipe can be your everyday go-to dish. It’s a simple dish yet so tasty. Added ingredients like onions, garlic, ginger, salt and pepper, lemon, soy sauce, chili, and mayonnaise all contribute to its umami taste so there’s no need to add MSG anymore. Prepare the bangus fillet by slicing the back of the bangus a spreading it like a butterfly. Then remove the skin and backbone. Debone the bangus fillet. Chill for 1 to 2 hours and cut it into chunks. Heat up a non-stick stove top grill and brush with 1 tablespoon cooking oil. Grill the bangus chunks on all sides until the meat turns white and sides are brown. Transfer to a plate with paper towels to absorb excess oil. Set aside. 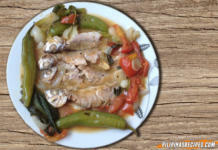 In a bowl, combine bangus chunks, onions, green chili peppers, calamansi juice, ground pepper, and salt. Toss and mix the ingredients well. Heat a sizzling plate on a stove and put the margarine until melted and sizzling. Then place the bangus sisig mixture in the sizzling plate and toss lightly until the margarine coats all the ingredients and the onions are slightly soft and fragrant. 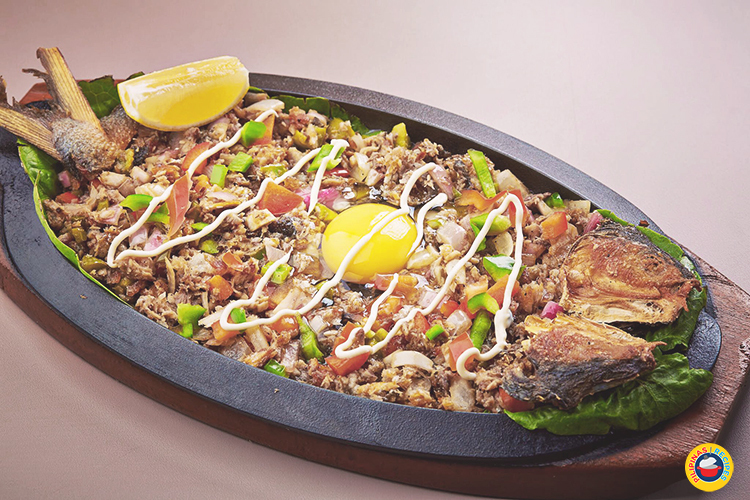 Turn off heat and transfer the sizzling plate with the bangus sisig. 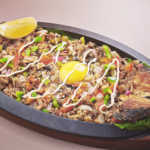 This video shows another recipe for bangus sisig. This Bangus Sisig Recipe can be your everyday go-to dish. It’s a simple dish yet so tasty. Added ingredients like onions, garlic, ginger, salt and pepper, lemon, soy sauce, chili, and mayonnaise all contribute to its umami taste so there’s no need to add MSG anymore. The cooking method is also the exact way to prepare Pork Sisig or any other Sisig dish. The fat content from the belly of the fish also gives an umami taste but without the guilt of course and its oil is so good for the health. Even for people who aren’t worried about their health will love this dish.